Our goal is complete satisfaction for our customers. Your commercial business in Mt. Holly, North Carolina depends on working, reliable electrical services, and it can be very inconvenient when problems arise. In order to make sure repairs are done correctly, it is very beneficial to work with a professional commercial electrician. Our team at Lamm Electric is well-trained and experienced in all aspects of commercial electric work, so we will get your electrical work done correctly and efficiently. As a family owned business, we are dedicated to the satisfaction of our customers. 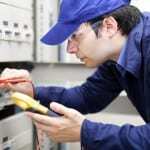 We want to be the reliable, trustworthy company you call when you need a commercial electrician. No matter what job needs to be done, our technicians are qualified to handle it. Whether you need one room rewired or other work done in your commercial business, we can get the job done quickly and with precision. We have been serving the Mt. Holly area since 1993 and have worked to build great relationships with our customers by offering quality products and services. We do more than just fix your electrical system– our goal is to make the whole process personal and stress-free for you. You can trust each member of our team is a qualified, trained commercial electrician who will make sure you are satisfied with your electrical repairs and projects. If you are in need of a commercial electrician in the Mt. Holly area, don’t hesitate to call our team at Lamm Electric. 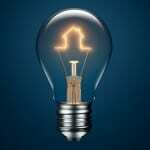 We will be happy to answer any questions you have or get started on your electric work. Contact us today! At Lamm Electric, our commercial electricians proudly serve Charlotte, Belmont, Huntersville, Indian Trail, Matthews,, Mint Hill, Harrisburg, and Mt. Holly, North Carolina.